Quality, service and performance have been the hallmarks of McElroy Metal since 1963. We’re a leading manufacturer of metal roofing, siding and substructural components, and we provide superior products for residential and commercial structures across the United States. We're a third generation family owned and operated metal wall and roofing products manufacturer and supplier, with an ongoing commitment to innovation. You can count on us for the most advanced roofing solutions for your company's needs. Exposed Fastener Panels - These versatile panels work equally well as interior or exterior walls for new and retrofit projects. Their sturdy construction ensures reliable performance in the most extreme northwestern Louisiana weather conditions. Standing Seam Systems - These advanced metal roofing systems are manufactured from high-grade aluminum or steel and feature interlocking seams that give the roof a stylish appearance. Retro Systems - Our retrofit and recover systems offer a cost-effective metal roofing solution for everything from minor upgrade projects to complete overhauls. Concealed Fastener Wall Panels - Concealed panels are a good choice for architectural applications and other projects that demand maximum aesthetic appeal. Canopy Panels - These metal panels offer the ideal combination of function and form required for commercial canopy or drive-thru facilities, such as banks and convenience stores. Soffit Panels - Installing our attractive soffit panels under porch ceilings and roof eaves will dramatically improve the appearance of these structures. Specialty Panels - Our wide range of specialty roofing panels include simulated metal tiles that replicate ceramic and steel shingles, combining style with performance. Slit Coil and Flat Sheets - McElroy Metal’s cutting-edge slit coil and flat-sheet products enables a fast turnaround time. Insulated Metal Roofing Panels - Our selection of insulated metal panels combine superior insulating capabilities with a sleek appearance and simplified installation. Curved Roof Systems - McElroy curved panels are formed onsite and provide a perfect standing seam system fit and eliminate the need to transport bulky panels to your jobsites. Onsite Rollforming Equipment - This advanced jobsite equipment enables you to rollform extra-long panels quickly and efficiency, while also significantly reducing your projects’ labor costs. At McElroy Metal, we do much more than just sell superior metal roofing products and systems — we also believe in treating our customers the right way. As a family owned company, we have worked hard to establish a strong culture of values that extends to our employees and partners. 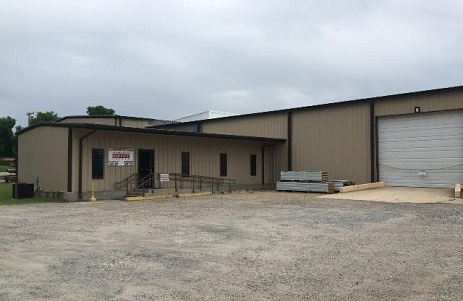 We have staffed our Bossier City, Louisiana, service center with knowledgeable, well-seasoned professionals who are willing to do whatever it takes to help you find the right metal products for your applications. Contact Us or Visit Our Bossier City Service Center Today! Our Bossier City service center is located at 1500 Hamilton Road. If you’re in the area, contact us today to learn more about our vast array of metal roofing products and services!